The preliminary program of ICMMES-2012 can be downloaded here. The ICMMES-2012 Brochure can be downloaded here. 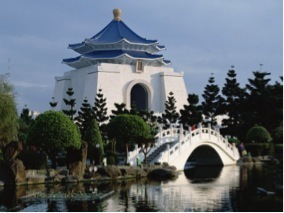 The 9th International Conference for Mesoscopic Methods in Engineering and Science (ICMMES 2012) will be hosted by National Taiwan University in Taipei, Taiwan. Following the tradition established by previous ICMMES conferences, short courses will be offered during the 1st day of the conference, Monday, July 23th, 2012, followed by 4 days of technical presentations. 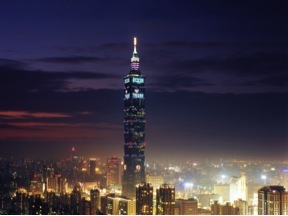 Taipei is located in northern Taiwan, including the northeastern part of the Taipei basin and the surrounding hilly region. Thanks to advances in economic development and the robust convenient transportation systems, important international conferences and exhibitions are frequently held here in Taipei, drawing overseas travelers to visit, to do business, to stay and study in Taipei City. Its ethnic fusion has styled Taipei to become a melting pot of cultural diversity. 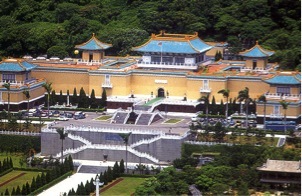 The well-known National Palace Museum was first established in 1925 and re-established in 1965. The museum exhibits the most precious and important historical documentations, paintings, arts, and crafts reflecting the rich cultural heritage and civilization of the ancient Chinese. Treasures include ancient Chinese paintings, ceramics, jade sculptures, remains of bronze weapons and many other antiques. The wide priceless collection of the crafts covers five thousand years of Chinese history. Night markets in Taiwan are street markets in Taiwan that operate in urban or suburban areas. They are similar to those in areas inhabited by ethnic Chinese, such as Southeast Asia. Night markets in Taiwan have become famous for their xiaochi foods (xiaochi roughly translates to "small eats" or finger foods). 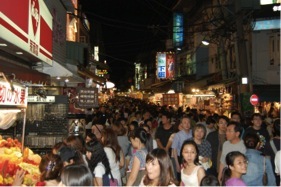 In recent years, many of the night markets have become popular tourist destinations among sightseeing foreign travelers. It’s common to see many travelers with cameras, snapping photographs amidst the crowds (and of the crowds) within the streets.